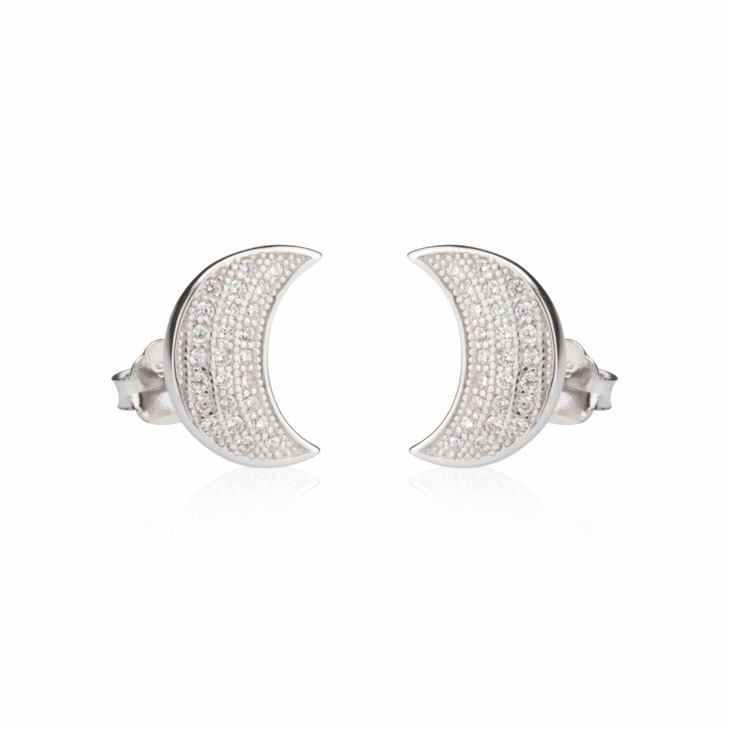 Dress your ears with these delicate cubic zirconia half moon earrings. Carefully crafted into the shape of the moon, encrusted with cubic zirconia stones, your ears will sparkle and shine like the light of the moon in the night. 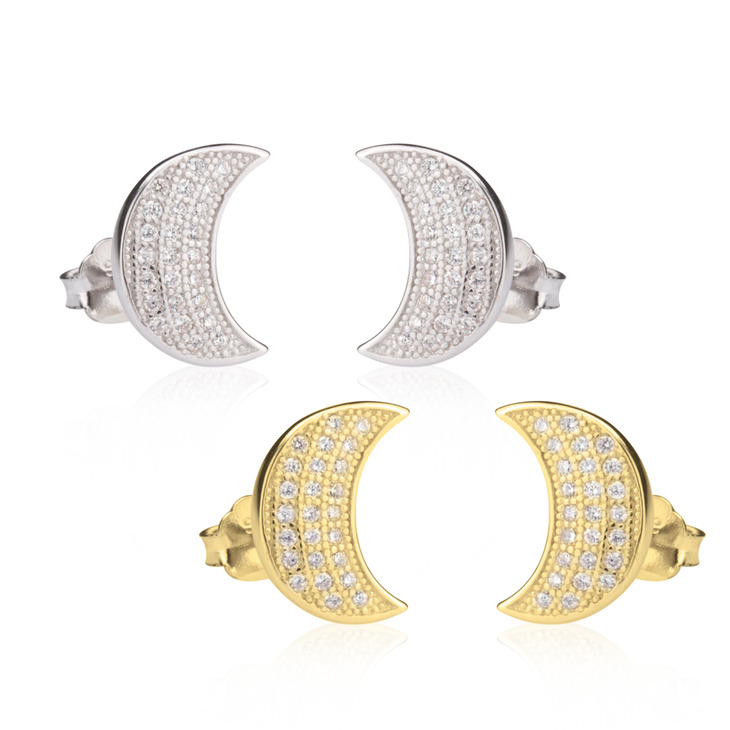 Perfect for the daytime and suitable for evening wear too, you will be able to make the most of your cubic zirconia moon stud earrings. Available in sterling silver, 24k gold plated and rose gold plated - these cubic zirconia moon earrings can be made to suit any skin tone and style.